41st Larry Lamberger Award Winner Tim Feenstra, 51st Charles Congdon Award Winner Justin Kadin, 24th Bob McKendrick Award Winner Steve Stull and 24th Bill Eggers Award Winner Craig Larson. 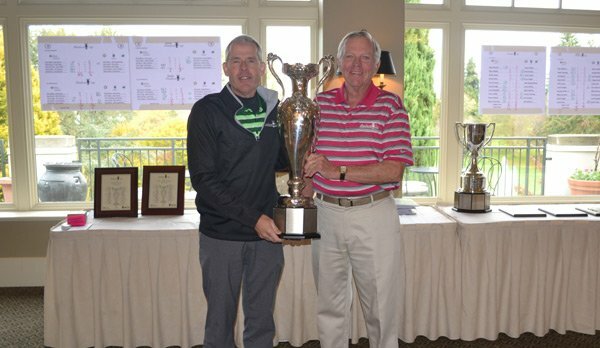 The 67th edition of the Hudson Cup Matches concluded today at Broadmoor GC course in Seattle, WA. The professional team beat the amateur team with a two day point total of 12 points to 8 points in the 67th Hudson Cup Matches. In the 24th edition of the Senior Hudson Cup, the professionals beat the amateurs with a two day point total of 13 to 7. The Charles Congdon Award went to Justin Kadin and the Larry Lamberger Award was presented to Tim Feenstra. In the Senior Matches, The Bill Eggers Award was presented to Craig Larson while Steve Stull was bestowed the Bob McKendrick Award. CLICK HERE to view Hudson Cup Matches results. 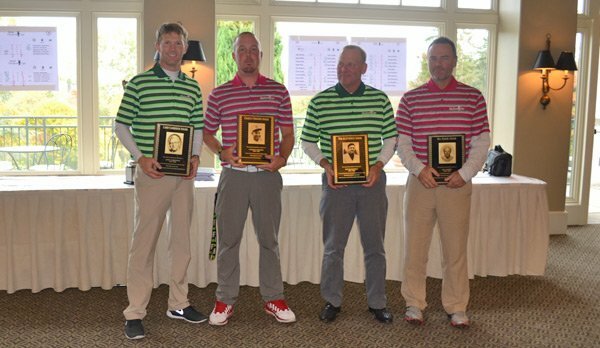 The Hudson Cup Matches were created in honor of Robert Hudson of Portland Golf Club in 1949. 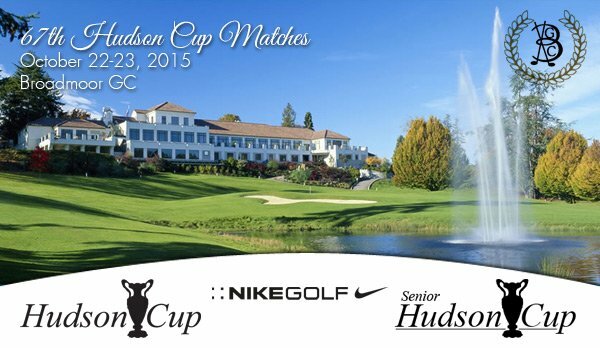 This event will pair the top 10 PNW PGA Members against the top 10 PNW amateurs for the 67th Hudson Cup Matches while the top 10 PNW PGA Senior Members will compete against the top 10 Senior PNW amateurs for the 24th Senior Hudson Cup Matches at Broadmoor GC on October 22-23. Each player plays three matches: a Foursome match, Four-Ball Match, and a Singles Match. At the completion of the matches, awards are presented to the outstanding player on each team as decided by votes of the team members. They honor Chuck Congdon, Larry Lamberger, Bob McKendrick and Bill Eggers, four great players with outstanding Hudson Cup records. 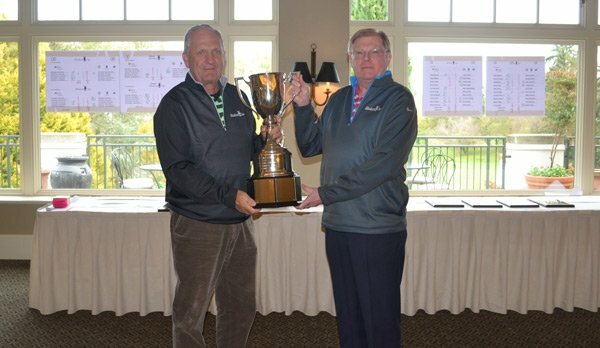 While the Professionals have been dominating the Hudson Cup Matches in recent years, the Senior professionals have also been winning the Senior Hudson Cup Matches. The Senior Professionals have won 16 of 23 Matches in the 23 year history. The matches were tied in 1994 at Sand Point G&CC for the third Hudson Cup Matches.